A growing number of defense-industrial 3D printing fairs, print-a-thons and the amount of defense dollars, particularly in the US, going into the technology of 3D printing speak to the fact that the defense industry and some countries’ armed forces recognize the great potential of the technology. 3D printing indeed allows the quicker, cheaper, and easier development of weapons, and even entirely new weapon designs. This applies to the full range of weapons categories: Small arms and light weapons (e.g., guns, guns, guns and grenade launchers), conventional weapon systems (drones, tanks, missiles, hypersonic scramjets) – and possibly even weapons of mass destruction. In particular metal additive manufacturing, that is the printing of metals such as maraging steel, aluminum alloys or carbon fiber, could have an impact on a country’s path to the bomb. The US National Laboratories, for example, which are in charge of maintaining and advancing the US nuclear weapons stockpile, are at the forefront of research and development in the field of metal additive manufacturing. 3D printing enables the labs to drive down the costs of stockpile maintenance, work with new materials, and produce stronger and yet lighter parts. Also the civilian nuclear industry is increasingly looking into 3D printing: Siemens recently installed a printed metal part at the Krško nuclear power plant in Slovenia and the China Nuclear Power Research Institute claims to have printed a 400kg metal pressure vessel cylinder. 3D printing and nuclear proliferation? Of course, no one argues that – with today’s state of the technology – a complete nuclear weapon could possibly be printed. It is simply impossible to print the critical part of a nuclear weapon, the nuclear core containing fissile material (highly enriched uranium or plutonium), tamper, and explosives – just as it is impossible to print entire gas centrifuges for the enrichment of uranium. But that does not mean that the technology should not be carefully watched from a non-proliferation perspective. Recent analyses, in particular Matthew Kroenig and Tristan Volpe’s 2015 Washington Quarterly article, Grant Christopher’s 2015 Strategic Trade Control piece and Robert Kelley’s 2017 Non-Proliferation paper, point to the technology’s potential for use in a number of nuclear proliferation activities. A couple of high-profile events with government participation, including an emerging technologies workshop at the International Atomic Energy Agency in Vienna in February and a Carnegie Endowment for International Peace workshop in May on “The Impact of Additive Manufacturing on Nuclear Proliferation”, put together by Tristan Volpe, testify to the issue’s increasing salience. As I have argued in a recent PRIF Report, additive manufacturing may in fact present serious challenges for the nuclear non-proliferation regime sooner than it is currently believed. Should the technology continue to advance as rapidly as it has over the past couple of years, 3D printing could make the (clandestine) pathway to the bomb easier in five ways: Firstly, the technology could significantly increase the indigenous manufacturing capabilities of countries. Certain components and materials needed for a nuclear weapons program, which are difficult to obtain because their export is controlled, could then be manufactured additively. Secondly, the wider diffusion of additive manufacturing processes could have an indirect impact on proliferation, as it increases a proliferator’s autonomy. A decreased dependence on imports of, for example, spare parts for energy or other high-tech sectors reduces the effectiveness of international sanction regimes. This would potentially undermine sanctions and with that a central non-proliferation instrument. Thirdly, 3D printing significantly decreases development cycles and lead times to a degree that, for an indigenous nuclear weapons program, ‘trial and error’ may substitute for a lack of engineering skills and expertise in metal-working, for example, in rolling, milling, or forging. Fourthly, 3D printers, software, and 3D scanning technology could facilitate the easier transfer of know-how and construction plans due to AM’s high proportion of cyber-automation. Finally, additive manufacturing might also decrease the ‘footprint’ of production facilities for nuclear weapon parts, which might make it harder to detect illicit activities. What, then, can be done to balance the huge opportunities of 3D printing with the risks and challenges its further development, adaptation, and diffusion present to nuclear non-proliferation efforts? The lowest hanging fruit is awareness-raising. Export control authorities, customs officers, law enforcement agencies, and IAEA weapons inspectors should be trained and educated to recognize potentially dangerous items or illicit shipments. IAEA weapons inspectors as well as intelligence services will have to adapt to new manufacturing setups for illicit and clandestine activities, but also to new supply chains. Awareness should also be raised in the academic context. Similar to dual-use research of concern (DURC) measures in the (life) sciences, engineering departments at universities and other research institutions operating 3D printers or otherwise engaging in additive manufacturing R&D should have policies in place that minimize the risk of malevolent use of their equipment and know-how. Industry self-regulation and best practices are other low hanging fruits. Some major technology providers refrain from doing business with certain countries or suspicious companies. National and transnational industry associations could pick up on that and adopt sets of best practices on where and when to refrain from exporting printers, software, materials, or know-how. Another set of proposals focuses on strengthening cyber security. The danger that digital build files of critical items could proliferate as a result of cyber espionage or cyber theft must be minimized through more effective protection of critical IT infrastructures, including the 3D printers’ firmware. Compartmentalizing build files, their decentralized storage, and encryption of the data is also mentioned in this regard. Smart contracting technology could be applied as a further safeguard that prevents a stolen file from being printed. Incorporating safeguards against unintended use directly into software, hardware, and even materials is somewhat more complicated and would require creative solutions. Kroenig and Volpe suggest incorporating a single-use mechanism into digital build files which corrupts them after they have completed their task once. With regard to AM hardware, they propose placing unique IDs on metal printers and corresponding markings on every object produced by these printers. This could be helpful for tracking and tracing the whereabouts of high-end printers, possibly by the IAEA. Another measure that could help preventing the use of 3D printing for illicit nuclear weapons activities is export controls. Both Kroenig and Volpe and Christopher propose amending existing export control guidelines with technological parameters of AM machines (e.g., printers’ axes, power of lasers, etc.). As to printing materials, most special metallic powders are already on the EU dual-use control list with the notable exception of maraging steel powder. The Nuclear Suppliers Group (NSG) discusses and defines which critical technologies, items, materials and know-how should be placed on dual-use export control lists. It has put additive manufacturing on its agenda – as have other export control regimes. However, it is not easy to find a sustainable approach on controlling additive manufacturing. For one, the genie is already out of the bottle as many countries outside the NSG have indigenous 3D printing industries and technology providers. 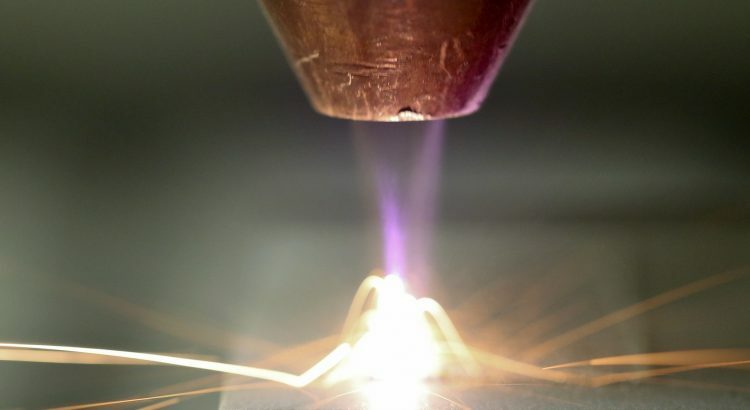 Moreover, the technology advances at such a rapid pace – with new metal additive manufacturing techniques like Fraunhofer’s 3D screen printing, the University of Sheffield’s diode area melting, Vader System’s MagnetoJet liquid metal printing, or Markforged’s atomic diffusion additive manufacturing being but four examples – that the export control regimes would constantly have to chase such developments and amend the control lists. And finally, there seems to be no real sense of urgency within the export control regimes as there remain doubts regarding the technology’s maturity. Hence, the search for viable means that would minimize the security risks associated with 3D printing without at the same time minimizing its opportunities should continue with a greater sense of urgency. It requires more debate and input from all stakeholders. Above all, authorities, decision makers, industry and academia should place the security policy dimension more firmly on the agenda. Marco Fey ist wissenschaftlicher Mitarbeiter im Programmbereich Internationale Sicherheit der HSFK. Er forscht zu US-Außenpolitik, Rüstungskontrolle, Raketenabwehr und neuen Technologien.